Grants for Rescues 🐾 Rescue Me! 834,277 Animals adopted on Rescue Me! Accounts for shelters/rescues are different than for individuals. Create a shelter account to qualify for grants and special rescue features. Any organization can create a posting account, whether or not a charity. Most groups receive adoption enquiries within hours of posting their first animal. Within two hours of posting, Rescue Me reviews each post to alert hundreds of potential adoption candidates. For best results, upload a great photo and include a YouTube or Facebook video when available. While most of Rescue Me is now mobile friendly, posting is much easier on a computer. Watch for our mobile-friendly editor later this year. 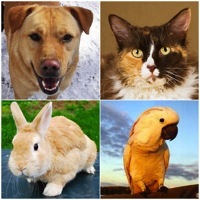 Easily embed your adoptable animals within your own site using Rescue Me widgets. Many groups include a widget on every page of their site for maximum visibility. Subscribe to Rescue Alerts to be notified as new animals of the breed or breeds you specialize in are posted in your area.